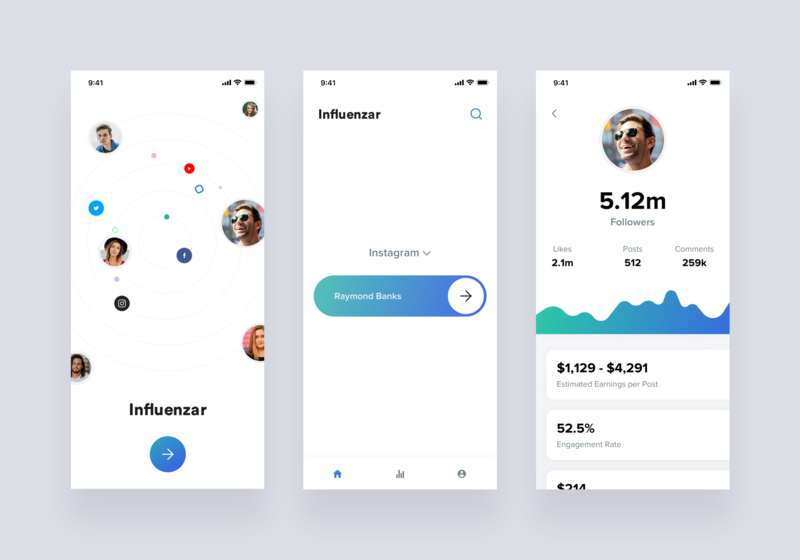 Brief: To design a mobile app to analyze and rate social media influencers with their engagement for ads. This is a Social Media Influencer rate card application. 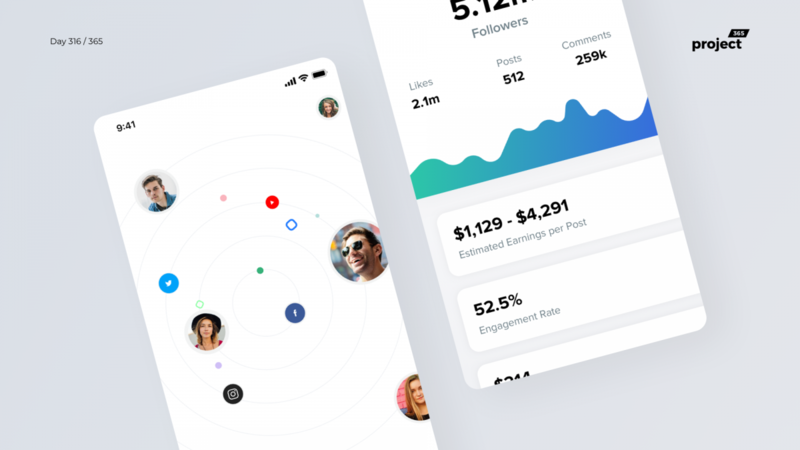 Simply put in the username of your favorite social media star and find out all their statistics and how much one charges for a sponsored post, story etc.